Clicking selfies has never been an easy task. In fact, sometimes it’s dangerous too. When you are in groups, normally the tallest person gets to take selfies or the one with necessary skills. But going by a latest update on aerial selfie drones, very soon this won’t be needed. You won’t have to worry about twisting your head or unintentionally cutting off someone’s head from the photograph with the latest Air Selfie Drone. Many such inventions and gadgets are entering the market to give that added customer experience and convenience. However, they need to worry whether the device is good enough and whether the experience is as expected. Let’s consider the drone for air selfies. You need to sync up this device that goes up to 30 feet in the air with your smartphone and then you can steer it for that perfect click. Now this can result in some great aerial landscapes and selfies too. But what does it take to ensure that such devices deliver what they promise? It takes a whole good lot of software/software applications to help connect the devices successfully. Practically, this takes immense amount of background verification and authentication of numerous aspects. But is mere mocking of an environment good enough to ensure the performance and accessibility of these applications and devices in real-time? Service Virtualization (SV) in the context of software engineering helps emulate and not just mock the behaviour of diverse components in a testing and development scenario. It could be API-driven applications, cloud-based applications, or service-oriented architectures (SOA). An industry report published by the Market Research Future has estimated that the service virtualization market is projected to reach USD 1,220 million at a CAGR of 18% by the end of the forecast period. The global service virtualization market is expected to grow at approximately USD 1,220 million by 2023 at a CAGR of 18% between 2017 and 2023. It further states that cost-effectiveness is another major factor responsible for fuelling the growth of the service virtualization market. IoT, Artificial Intelligence, Robotics, Smart Devices, and Machine Learning are the major market disruptors today. Research bodies and market analysts are claiming that such enterprises can earn a major fortune. This makes it absolutely critical for them to ensure that the devices and application launches are flawless and secure. Moreover, there could be multiple parties involved for delivering a single experience – one entity for developing the devices, and another for creating the application. This means there is a major need to ensure seamless and continuous integration at every stage. Service Virtualization is being endorsed by enterprises to deal with any and many such issues. There are many reasons why enterprises look up to this practice over many other similar methodologies. Let’s look at some key highlights of Service Virtualization that make it indispensable for testing next-gen technologies and devices. Consider yourself as a budding start-up with great inventive ideas to explore with inspiring thoughts and plans. Your first point on the agenda would be the costs and investments, ultimately RoI. SV enables optimization of resources and boosts reuse of virtual services by encouraging collaboration across development and testing teams to share the virtualized environment. Hence, any amount of effort and investment in creating the environment doesn’t go in vain. Across IoT or any kind of tests that involve multiple touch points, it is absolutely critical to test them against various conditions such as network configuration, device configuration, and much more. Virtualization of various components in the environment enables testing the co-ordination of applications and devices across various scenarios. Eventually, it helps derive the required responses to establish inferences and ensure performance of the entire system. For instance, today even wearable technology is being leveraged to make financial transactions and complete an entire cycle of consumer experience. Service Virtualization can help to test this against various scenarios such as network fluctuations, spikes in traffic, secure interface, a possible breach/hack, and anything and everything that might involve a third-party interface. 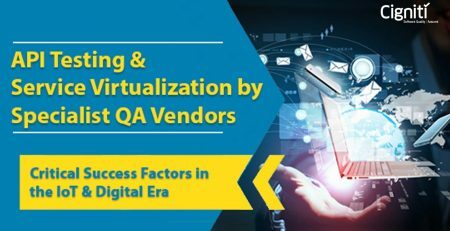 Moreover, SV tools also help you to virtualize and desensitize test data in the early stages of development and testing. 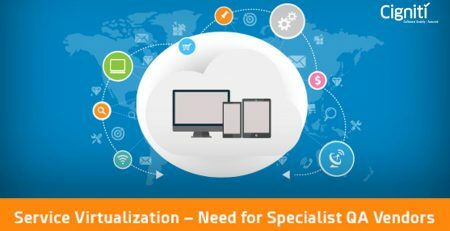 Service Virtualization tools are hassle-free and offer you the freedom to explore, test, and develop. So, if you have a product or application or both that you need to test on specific grounds, you don’t have to plug in wires and run extensive operations. SV tools are plug and play software that work seamlessly without any major hardware gigs. With cost considerations as well you are able to leverage every aspect of tool to test varying parameters. For instance, with any virtual device or service, you don’t need to break anything. This adds to the flexibility factor, and the ability to deal with heterogeneous IoT device platforms or any kind of elaborate set-up. 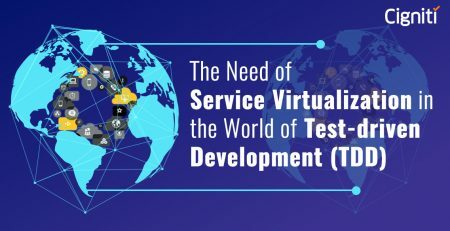 With the emerging concept of Service Virtualization especially in the context of testing next-gen technologies, the methodology provides testing services against realistic data scenarios. This helps them to develop quickly and with more conviction towards real-life challenges for the developed product. Eventually bringing down the risks and enabling to deal with failures/bugs way ahead in the development cycle. SV helps make software development more cost effective, more protocol-agnostic, and risk-resilient. With new and fresh technologies around the corner, the risks around software development and testing are bound to increase. This implies that there is loads of scope to test devices and applications against varying scenarios and heterogeneous components. At the same time, it is very much important to deliver quality with cost-effectiveness. The potential that SV shows to deliver the same is high, enabling businesses to stay confident in terms of quality as well as speed. At Cigniti, we have rich expertise in Service Virtualization tools such as CA LISA, IBM Green Hat, HP Service Virtualization, Tricentis, Soap UI, Parasoft Virtualize, as well as proprietary solutions and industry specific jumpstart kits. We offer an Enterprise-wide Service Virtualization Adoption Strategy after detailed Service Virtualization Assessment followed by Planning and Solutions. Connect with our experts to get assistance on Virtualization Tool Feasibility & ROI Analysis and derive higher ROI.